The great grand daddy of first person shooters has returned to the world of next generation consoles that boasts some highly detailed and impressive graphics plus good old fashioned first person shooter action. It may not be the sequel that everyone was expecting, however it's a solid shooter that will keep most lovers of this genre entertained. Verdict Fun and competent game that is missing the "X" Factor. I must admit that I was a little disappointed with The Return to Castle Wolfenstein a few years ago and thankfully this new incarnation of the mythos has attempted to go in another direction. Although it's missing the "fun" from the original game, Wolfenstein 3D, this current first person shooter is quite apt at what it does. Story wise, gamers play BJ (minds out of the gutter kids!) Blazkowicz, a US soldier of the Office of Secret Actions (OSA) who is once again sent into the Lion's Den in order to stop the Nazi's exploiting new occult weaponry which could change the tides of war. Unfortunately you soon discover that the Nazi's are further ahead than your commanders believe and now it's up to the gamer to ensure that their dabbling is stopped dead in their tracks. The best part of the original game, Wolfenstein 3D was the over the top nature and sometimes politically incorrect humour in the game and unfortunately Wolfenstein on PS3 tries to be a little too clever in this respect. What made the original game fun is missing from this story and our hero is a little too one dimensional as is his co-stars in the game. It's not to say that the story is bad, it's just missing something unique in this over crowded genre. In reference to the story, the game uses in-game cutscenes which seem a little "low res" when compared to the lush graphics of free-play. Although it helps get the point across, some pre-rendered cutscenes or more realistic in-game cutscenes would have helped. 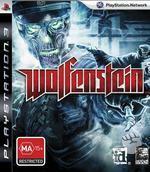 At its core, Wolfenstein is a traditional first person shooter where you must use a variety of weapons to kill your enemies. There are some "squad" areas in the game, however the majority of the game relies on the single-player to succeed. Add in some great AI where your opponents use the environment to their advantage and some funky "occult" powers that allows the player to access the "Veil", a dimension between ours and some hell dimension, it gives the title a true supernatural feel and some cool powers with Matrix-like results. The areas where you explore are quite varied and diverse from battle scarred cities to airfields and dark almost dungeon-esq areas for you to explore. Your "veil" powers allow you to access secret areas in the game which is kind of cool. 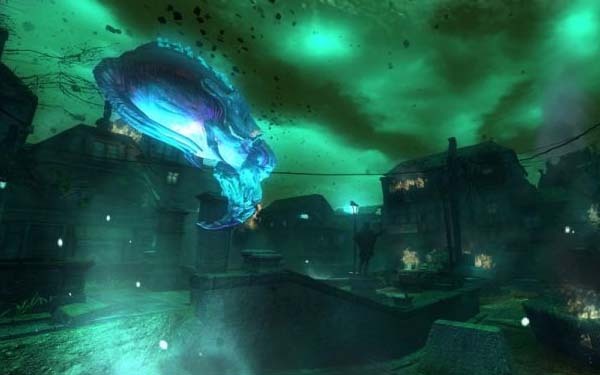 Like the original, the game contains barrels littered throughout the environment for you to shoot and blow up which is cool and when you're in the "veil", you can even shoot the creatures for similar results. Veil powers are used to assist with puzzles such as slowing down time or crossing dangerous bridges. When it comes to weapons, the game is littered with a plethora of authentic weaponry of the time, however where it does shine is through those weapons with a science fiction feel to them such as the Tesla gun... very cool indeed. You can even upgrade weapons in the game by finding gold in the areas you explore which can then be used at the black markets. The German soldiers in the game are quite apt, depending on your level, however the bosses in the game are really cool such as the giant spider demon or those occult induced humans who really look quite eerie and can sometimes be difficult to defeat. Without spoiling the enemies that you encounter, the developers should be commended for their variety, especially the bosses. If you do happen to die, the game uses checkpoints and certain mission objectives that automatically save and I must admit that a user-based save system would have been better. 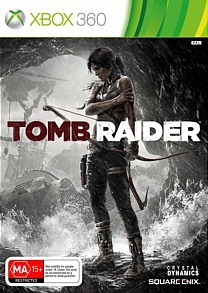 Graphically, the title is a visual treat on the PS3 with some very impressive environments for you to explore that contains some memorable special effects and gorgeous lighting effects. 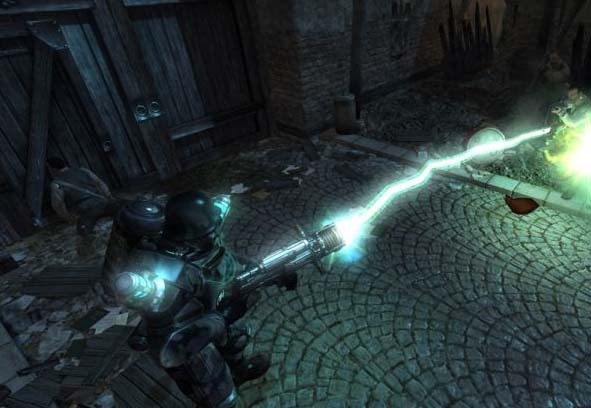 The characters in the game are well modeled and quite realistic at times and seeing you use the Tesla gun as it fires electricity at your enemies is a treat to watch. The soundtrack has this period piece to it with a touch of Hollywood War movie class and the voice acting is apt, although a little boring and clichéd at times, ezpecially ze French! The game contains three multiplayer modes that include Team Deathmatch, Objective and Stopwatch that is fun, although no way as enjoyable as the single-player mode which is quite interesting. Generally, it's the other way around in these games. You have different classes to choose and I found no issues with lag or connectivity. Although it's fun, it does not offer the same replayability as Call of Duty but it should keep most entertained for a few weeks or months at least. In conclusion, Wolfenstein is a sturdy game with some very impressive graphics, however in terms of offering the gaming community something new, it's unfortunately lacking in this department. 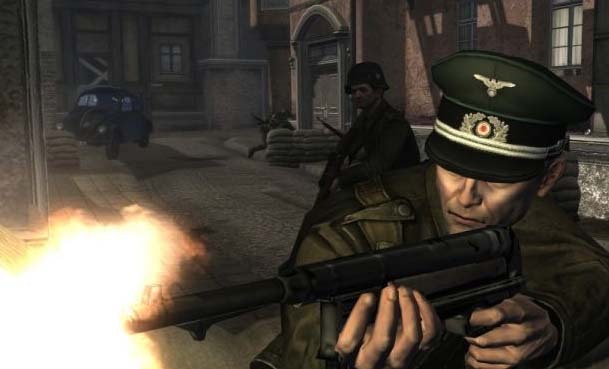 For a game based on over the top action and story, it's a shame that the developers did not return this game to its roots, however if you're looking for an above average first person shooter experience in World War II, there are far worse games than this, so check it out.